Leave a comment about your fav. Twitter chats, esp. those 4 writers/readers. 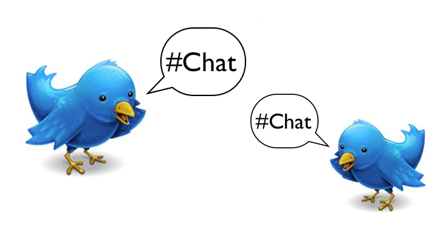 Last week I participated in the weekly #AZchat, which is the chat for the A to Z Challenge. It's a lot of fun. I encourage you to take part. It happens on Thursdays at 8 PM EST. Also, I'd love to know about other Twitter chats, especially those for writers, readers ... you know, our kind of people. Leave a comment. Tell us about a chat, when it takes place, and so forth. Maybe we'll see you there.